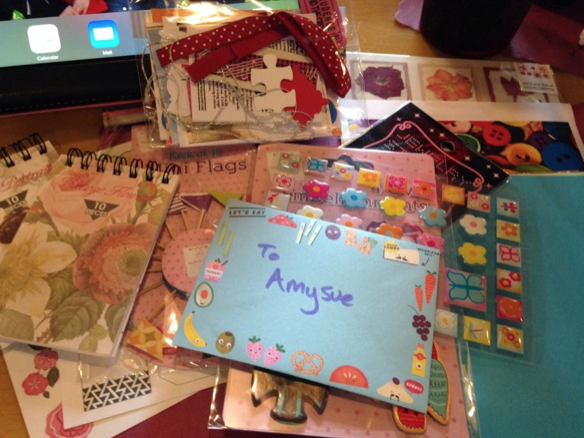 Our wonderful friend Belinda in Australia hosted a swap for us and we asked her to tell us about it. Thanks so much for writing this blog post, Bel. 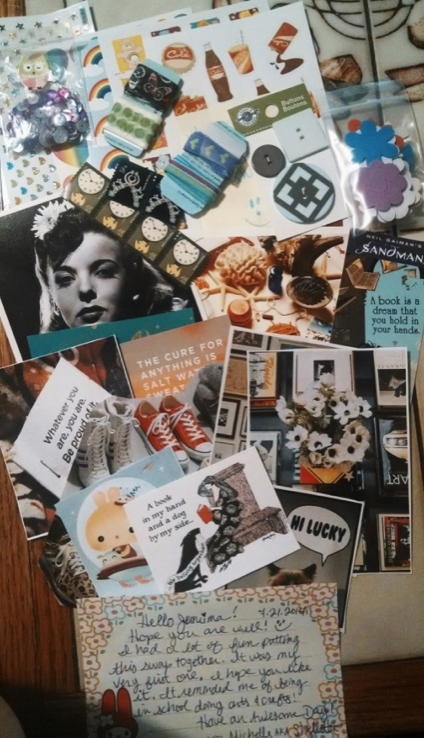 We love all the photos of the mail art goodies! 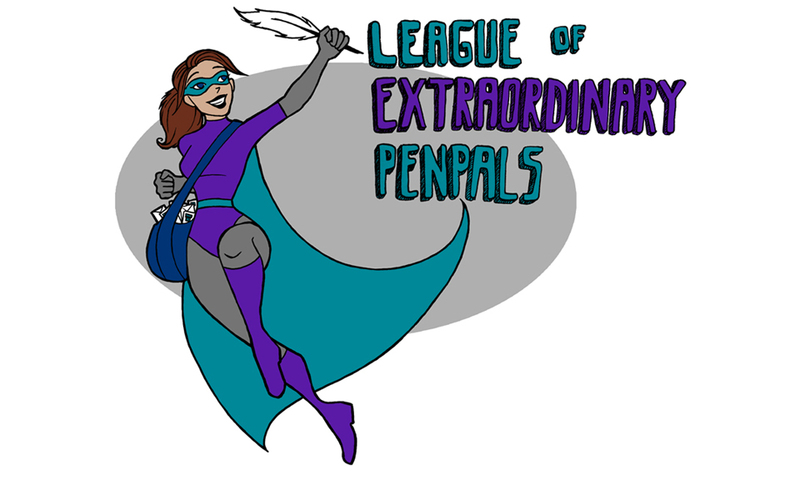 As part of the July newsletter, our extraordinary penpals were given the opportunity to sign up for a mail art supplies swap. 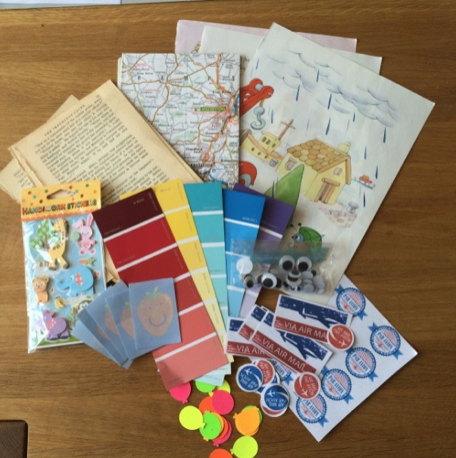 The brief was to package up at least 10 to 15 items that could be used to create mail art – ie. 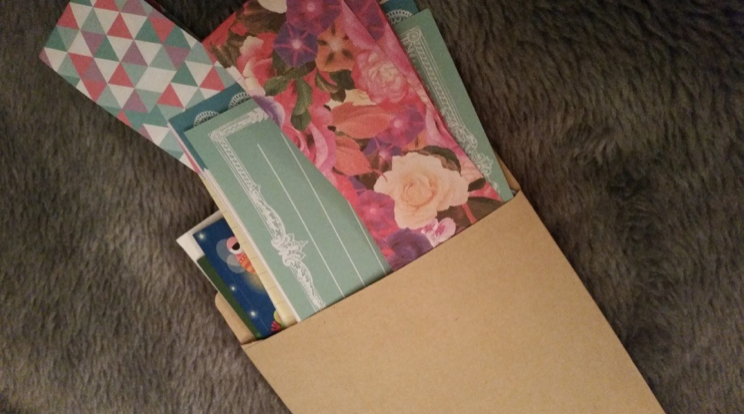 those gorgeously colourful, collaged, calligraphied envelopes you may have found in your mailbox on occasion. 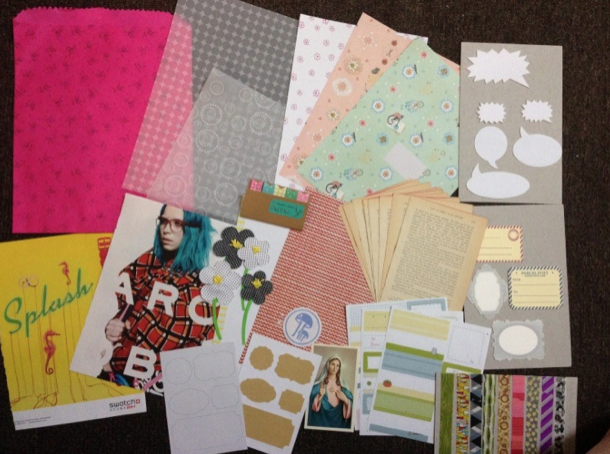 Things such as deco papers, washi tapes, confetti and ephemera were suggested but the creativity was not limited. Partners were assigned, taking into account the similarities between the 32 participants as well as their location. Where possible I wanted folks to be partnered with someone outside of their country to increase the possibility of receiving items they hadn’t already encountered in their local craft stores. 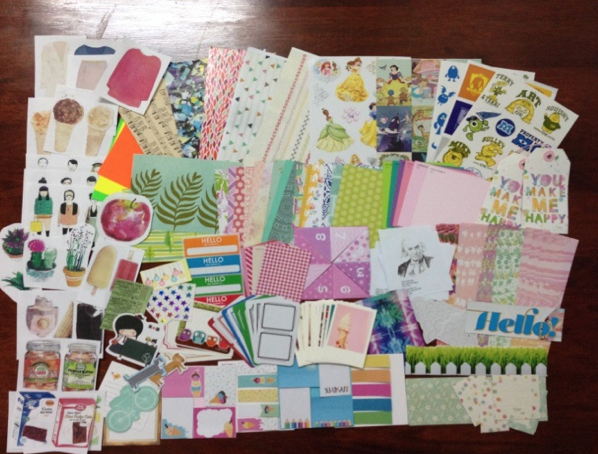 Here is a snippet of what lovely, colourful, wonderful mail art supplies were mailed across the world. There is no limit to what fabulous creations the LEPeeps will dream up with such an abundance of supplies so stay tuned and we’ll see what wonderful, artistic mail has been sent across the world. Thanks again for hosting this great swap, Belinda! I don't know how you all come up with the coolest things, but how this swap came out is so awesome! :D That is so cool!